Just like the face, the hands frequently show prominent signs of aging. The skin of the hands is delicate and especially susceptible to the loss of volume and elasticity – which can cause the veins and tendons on the back of the hands to appear more pronounced. With RADIESSE®, Dr. Jodie Reinertson can restore lost volume and stimulate collagen production for hands that look smooth and youthful. RADIESSE® is FDA-approved specifically for hand rejuvenation, providing a fast-acting and long-lasting solution for aging skin. Composed of a biocompatible material called calcium hydroxylapatite, RADIESSE® instantly plumps the skin of the hands to reduce the prominence of veins and tendons. Since this injectable is also designed to stimulate the body’s natural collagen production, patients can enjoy more youthful-looking hands for up to two years. This non-surgical procedure can typically be completed within 30-60 minutes using a small needle and a topical anesthetic to help ensure patient comfort. To maintain the results of the RADIESSE® treatment, follow-up appointments may be scheduled when needed. 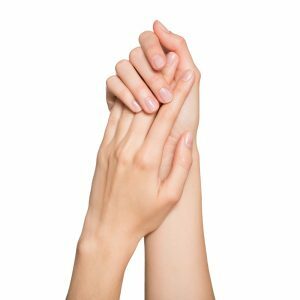 Please contact us today to learn more about hand rejuvenation with RADIESSE®.